"Gratitude from her brothers for a Blessing at their weddings: And from the rest of her family at the passing of Helen, a beloved sister..."
"Peace be with you Scott"
The Reverend Scott Douglas Gale, age 60 years, passed gently into heaven on Wednesday, October 10, 2018. Scott was born on October 8, 1958 in Hamilton, Ontario, the son of Douglas Clinton Gale and Shirley Mae (nee Dandenault). Originally born Dennis Paul Diebold, his birth mother was Hilda Diebold, and adopted as a newborn. Raised in Hamilton, he attended Saints Peter and Paul Schools, St. Thomas More High School and McMaster University. He worked as the executive assistant to the Hon. John R. Williams, Solicitor General of Ontario, before entering St. Augustine's Seminary in 1985. In 1990 he moved to Thunder Bay as Chaplain to St. Patrick and St. Ignatius High Schools. He was ordained as a Roman Catholic Priest for the Diocese of Thunder Bay on July 11, 1993 (the feast of St. Barnabas – his confirmation name). 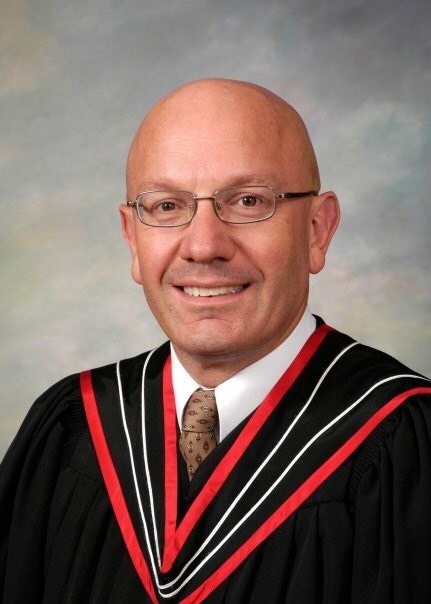 Scott served as the Associate Pastor of St. Dominic's and then as Pastor of St. Francis Xavier, Balmertown (also ministering to Red Lake, Ear Falls, North Spirit Lake and Pikanjikum First Nations). In 1997 Scott moved back to Thunder Bay as Pastor of St. Andrew's Roman Catholic Church. Over the next seven years he led a dedicated team of parishioners in revitalizing this venerable faith community, and in upgrading the church, rectory and soup kitchen facilities. Over 1.1million was invested in the revitalization of the facilities, including handicapped accessibility, stained glass window restoration and a new “Jubilee” window in 2000. Scott personally contributed to the financial cost of refurbishing the parish's commercial kitchen. In 2005 Scott moved to Marathon to Pastor Holy Saviour Parish, and to also serve the Pic River First Nation. In January 2006, Scott left active ministry as a Roman Catholic Priest, and transitioned into ministry in The United Church of Canada, beginning in 2008. 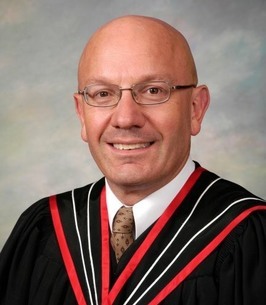 Scott served as Minister at Broadway and Pinegrove United Churches in Thunder Bay, and was formally received into the Order of Ministry in the United Church on May 29, 2011. Scott then served for one year as the Minister at First United Church in Dryden, before retiring from full-time ministry. 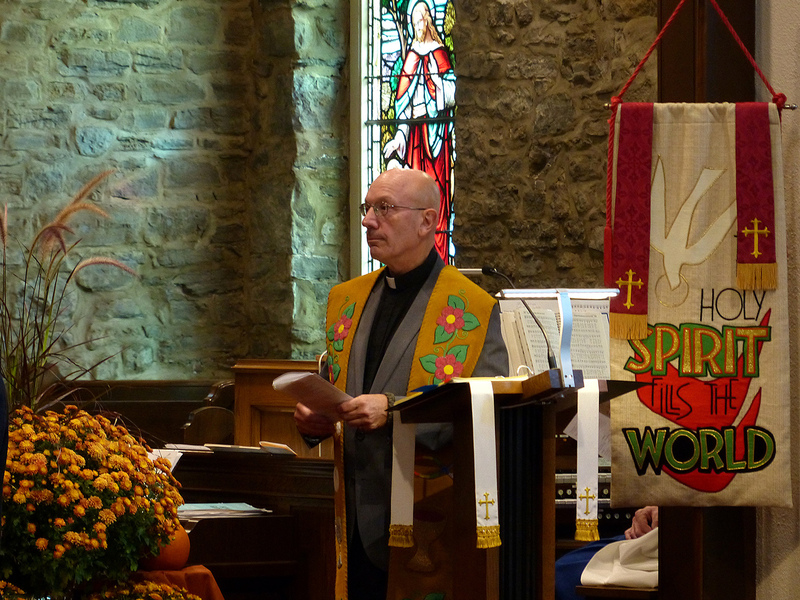 However, for many years, Scott regularly led Sunday services on “occasional” Sundays at United Church congregations throughout Cambrian Presbytery, especially at First-Wesley in Thunder Bay (where he also ministered full-time for 6 months in early 2014), and at Grace United in Nipigon. Scott felt truly blessed to have been part of so many people's lives over the many years in ministry. Scott enjoyed living in Northern Ontario, and for 14 years he especially enjoyed his camp “Chelsea” on the Arrow River in Devon Township. He liked to canoe and kayak, and he loved to travel, especially after his retirement. In 2013 he was excited to sail the Great lakes for 10 days as a crew member on the Norwegian Tall Ship Sorlandet. Over the years, Scott contributed his time to many religious and community organizations, including the Knights of Columbus (3rd and 4th Degree), the Order of St. Lazarus, the Royal Canadian Legion, the John Howard Society, the Thunder Bay Council of Clergy, and the Thunder Pride Committee (including organizing Thunder Bay's 1st Gay Pride Parade in 2013). He was also a founding member of “Equality Rocks” (Thunder Bay's 1st GLBTQ Chorus) in 2014. Scott especially embraced his Scottish heritage and in later years embraced his German roots as well. He is survived by his best friend Matthew William Lovering; his sister, Denise Stewart and her children Shane, Amy and Taylor, as well as many aunts, uncles and cousins. He was predeceased by his parents, Douglas and Shirley Gale. Funeral services for the Rev. Scott Gale will be held on Monday, October 15, 2018 at 2:00 pm in St. Paul's United Church, 349 Waverley Street (near St. Andrew's Roman Catholic Church – a fitting location to celebrate the life of a man who served in ministry in both the Roman Catholic and United Churches) with the Rev. Susan Ivany officiating. A service of remembrance under the auspices of the Royal Canadian Legion, Kakabeka Branch will be held in conjunction with the Funeral Service. Services will be complete in the church, with final burial to take place in Holy Sepulchre Cemetery , Burlington, Ontario. 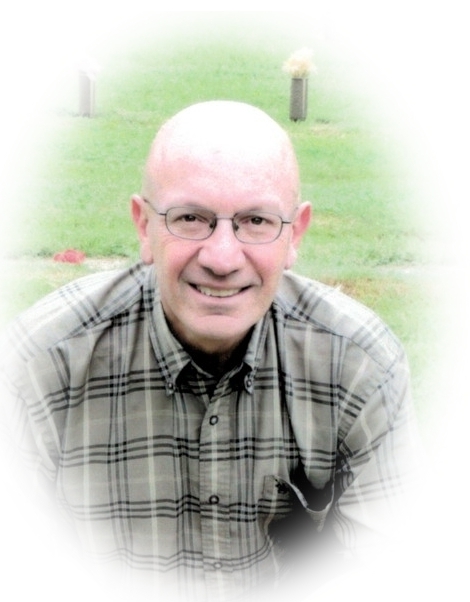 Visitation for family and friends will be held on Sunday evening from 6:00 to 8:00 pm in the EVEREST FUNERAL CHAPEL, 299 Waverley Street at Algoma, with Roman Catholic Vigil Prayers offered at 7:30 pm in the Chapel. Donations in Scott's memory many be made to St. Andrew's Dew Drop Inn; the Mission and Service Fund of the United Church of Canada or to the John Howard Society of Thunder Bay. To plant a tree in memory of The Reverend Scott Douglas Gale, please visit our Heartfelt Sympathies Store. Additional Information	Vigil Prayers will be offered at 7:30 pm Sunday evening in the Everest Chapel. Waverley Street, at the bottom of Waverley Hill across from Port Arthur Collegiate, one block west of the Everest Waverley Chapel. We encourage you to share any memorable photos or stories about The Reverend Scott. All tributes placed on and purchased through this memorial website will remain on in perpetuity for future generations. Like many of Scott's friends, the ink was hardly dry on our birthday greetings when we heard of his untimely passing. I was glad to be able to attend the funeral with my old friend Ken Zeise. The service was beautiful and the church was packed with people, giving witness to how well respected and loved Scott was by all that met him. I had not seen Scott since 1997 but I will still miss him. Condolences from all ranks of the Lake Superior Scottish Regiment and the military community of Thunder Bay. Saddened to hear of Scott’s untimely passing. He was a good friend for over 40 yrs. My thoughts are with his family. On behalf of all at Pinegrove United Church. Our deepest sympathy to family and friends of this wonderful , caring person. We will miss his smiling, positive, presence in our midst. In the blink of an eye our lives change. Tears filled ours as we try and deal with Scott's sudden death. At St Andrew's we were part of a family led by this man. We grew in character and faith. Thank you Father Scott Gale for all you have done for our Parish. You will be missed. Scott's sudden and unexpected passing was such a shock to so many. His dedicated service to God and humankind was legendary. Many will miss his kindness and his sense of humour. He was an awesome Scrabble opponent. Our condolences to friends and family at the loss of a genuine nice guy from Tom and Marilyn McCuaig. Gratitude from her brothers for a Blessing at their weddings: And from the rest of her family at the passing of Helen, a beloved sister and daughter, forever in our hearts. Scott read the prayers of the people at our wedding last Saturday. A dear friend gone too soon.